Looking for the perfect cocktail to sip this Valentine's Day? Mix up our latest wine inspired cocktail right at home following this simple recipe! This recipe features our 2013 Old Vine Zinfandel which is blended with 10% Petite Sirah and has a brooding, dark dense nose with a deep color and sweet aromatics. This wine is big with lush ripe fruit flavors along with hints of vanilla, mocha and strawberry pie with oak and smoke poking through on the finish. Mix up this wine inspired cocktail right at home following this simple recipe! 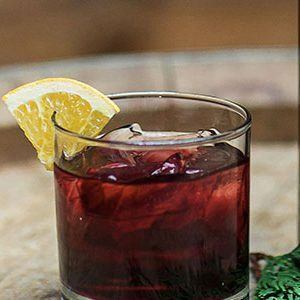 This wine cocktail recipe features our Old Vine Zinfandel which is blended with 10% Petite Sirah and has a brooding, dark dense nose with a deep color and sweet aromatics. This wine is big with lush ripe fruit flavors along with hints of vanilla, mocha and strawberry pie with oak and smoke poking through on the finish. Bold and vibrant like Williamsburg’s main avenue. 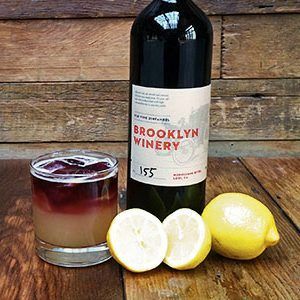 The Bedford Sour combines Bushmills Irish Whiskey, fresh lemon juice, and a float of Brooklyn Winery Old Vine Zinfandel. This recipe features our Old Vine Zinfandel which is blended with 10% Petite Sirah and has a brooding, dark dense nose with a deep color and sweet aromatics. This wine is big with lush ripe fruit flavors along with hints of vanilla, mocha and strawberry pie with oak and smoke poking through on the finish. The proper welcome to our side of the neighborhood. 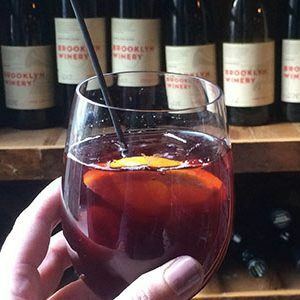 Select your choice of Brooklyn Winery red wine and mix it with Cointreau, Brandy, and seasonal fruit for the perfect seasonal red sangria! Brooklyn Winery crafts red wines with select grape varietals from both New York state and California. We produce these wines at our urban winery in Brooklyn, NY. The proper welcome to our side of the neighborhood. 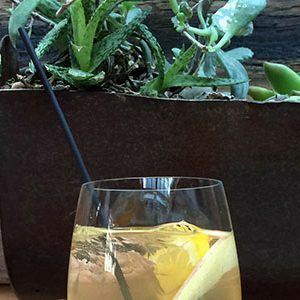 Select your choice of Brooklyn Winery white wine and mix it with Cointreau, Brandy, and seasonal fruit for the perfect seasonal white sangria! Brooklyn Winery crafts white wines with New York state Chardonnay, Riesling and Gewürztraminer grapes. We produce these wines at our urban winery in Brooklyn, NY. A perfect marriage of Kentucky Bourbon and Brooklyn-made Rosé. 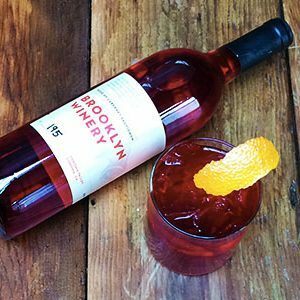 This wine cocktail is a twist on a classic featuring Bulleit Bourbon, Brooklyn Winery Rosé, and Campari. 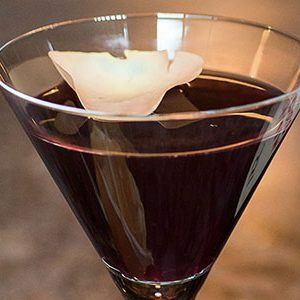 This cocktail features our Rosé of Cabernet Sauvignon which falls on the darker side of the Rosé spectrum, both in its' deeper color and the earthy undertones it provides. Vibrant and lively, yet a bit brooding this wine has notes of cherry cola with hints of sage and dried rosemary, backed by a smooth and inviting texture with a lingering finish.